Bisques are fun. They are creamy and thick, but are balanced by the ever so slight flavor of a wine and the dominant primary ingredient — typically mushroom or seafood. This…was not a bisque. 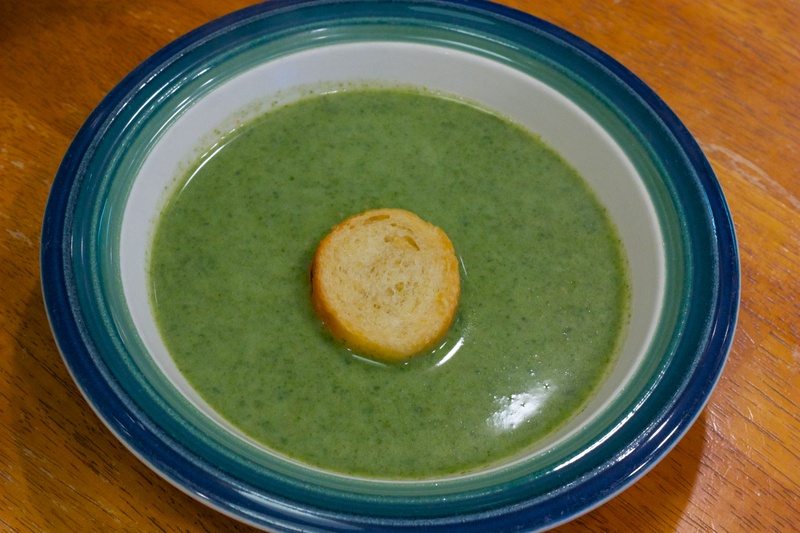 No, this was more like cream of spinach soup. This bothers me some as I actually cut as much extra liquid as I could, knowing that this would be too watery. In the end, it was a good soup but I felt like something didn’t work right. 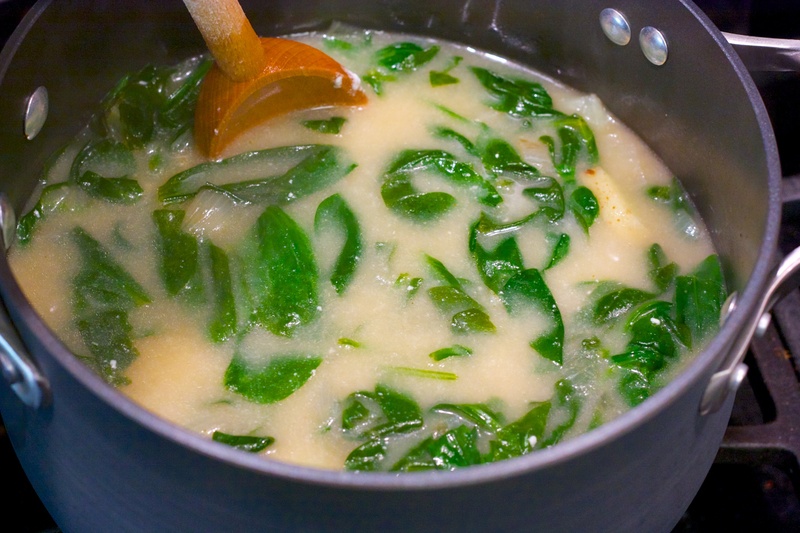 Maybe the recipe developer didn’t take into account that the spinach would drop its water or that 4 cups of broth was far too much. You expect a bisque to cling to your spoon and warm you from inside, like a chowder. This was fine, but less than advertised. WHAT WORKED: My immersion blender. The best $25 I’ve spent and perfect for this recipe. However, let me reiterate that you need to keep the head of the blender submerged at all times. WHAT DIDN’T: The liquid. There was a lot of liquid. WILL IT MAKE ANOTHER APPEARANCE: Yes, though I will cut back on the broth and maybe make a roux after the onions caramelize. Heat oil in a large saucepan over high heat. When it shimmers, add the onions and season with salt. Cook, stirring regularly, until the onions start browning, approximately 5 minutes. Reduce the heat to medium, pour 2 tbsp. 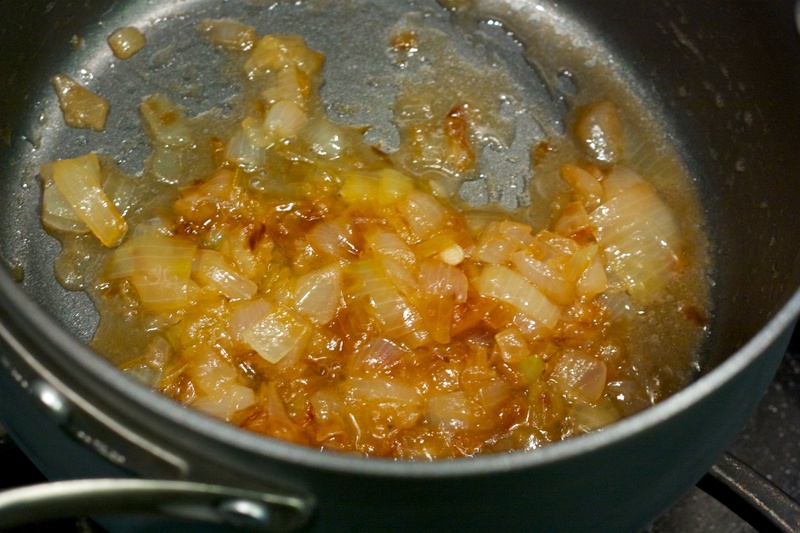 water over the top and cover, cooking until the onions have reduced in volume and have taken on a rich, caramel color. This should take 20 to 30 minutes. Be sure to stir the onion occasionally. While the onions are cooking, bring the remaining water and about 1/2 tsp. of water to boil in a large saucepan or Dutch oven. Add the potatoes, return the pan to a boil and reduce to medium. Keep the potatoes simmering until they are very soft, 12 to 15 minutes. Drain and set aside. When the onions are done caramelizing, add the marsala and stir. Pour in the broth and return to a boil. 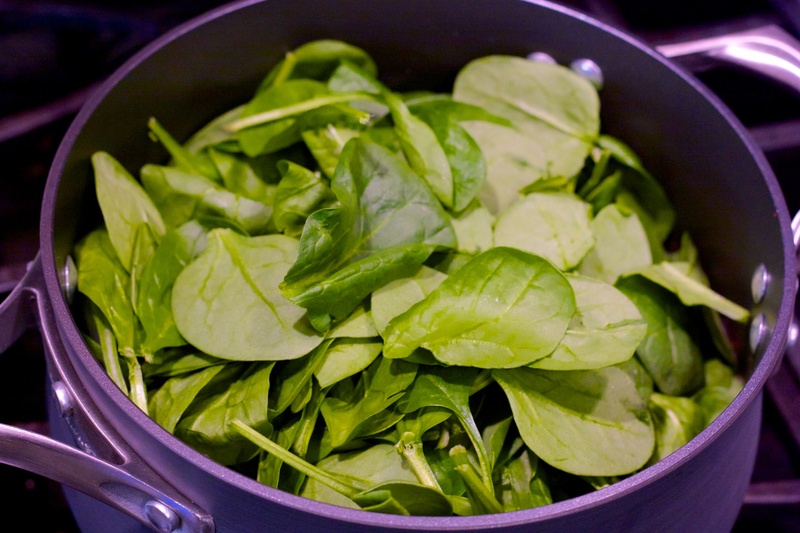 Add the spinach, cayenne and nutmeg, then cover the pan. Cook 5 more minutes. Add the goat cheese and potatoes, stirring until the cheese begins to melt. Add lemon juice and remove from heat. 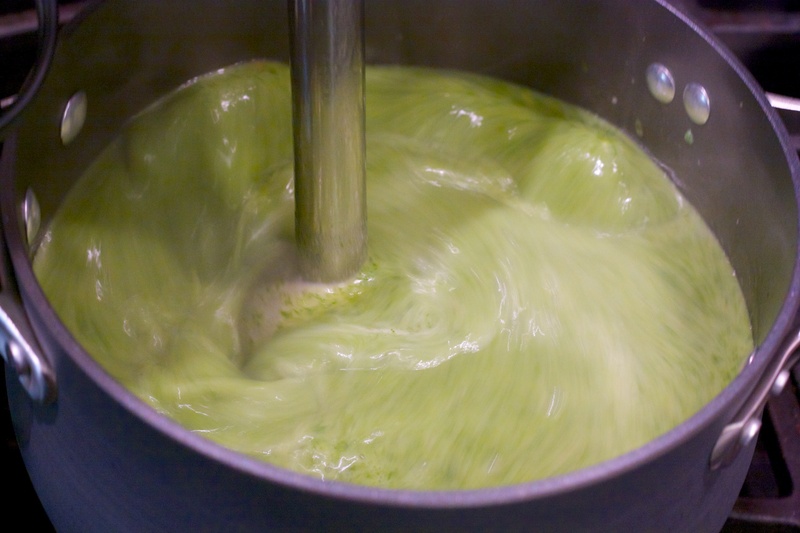 Using an immersion blender, puree the soup until it is smooth and free of chunks, and has taken on a pale green hue. Adjust your seasonings as necessary with additional salt and lemon juice. Serve with crusty bread or croutons.